We help Campaign For Youth Justice manage, update, and integrate new services from Google on a responsible, measured path. This allows their teams to collaborate, iterate, and innovate together from anywhere, without loss of data or settings across users. 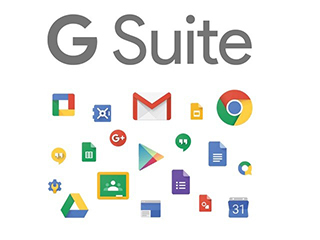 Google suite is a platform of multiple services and each piece is powerful in its own way, so the best way to evaluate them is to determine how relevant the service is to your organization. For CFYJ we follow a 3 phase approach to analyzing current system solutions, reporting, and finally optimizing and introducing new application abilities. Phase I – Asses the current system configuration through a comprehensive analysis of the services implemented and used by staff members across the organization. We turn this information into a custom project plan to guide us during the deployment. Phase II – Develop comprehensive report and initial implementation, including providing guidance and recommendation of extra features and services not actually in use, detailed implementation plan for each recommendation, and support and guidance on implementing the most important features or services. Phase III – Prioritize and implement support and guidance on implementing all the recommendations and best practices from phase I and II. This includes onsite, Q&A support for individual ticket items or challenges that are slowing progress, and finally weekly updates for leadership covering progress, challenges, and benchmark updates. As a partner of CFYJ, IndieTech instills trust in its G Suite tools.